Although OWL (Web Ontology Language) and SWRL (Semantic Web Rule Language) add considerable expressiveness to the Semantic Web, they do have expressive limitations. For some reasoning problems, it is necessary to modify existing knowledge in an ontology. This kind of problem cannot be fully resolved by OWL and SWRL, as they only support monotonic inference. In this paper, the authors propose SWRLx (Extended Semantic Web Rule Language) as an extension to the SWRL rules. The set of rules obtained with SWRLx are posted to the Jess engine using rewrite meta-rules. The reason for this combination is that it allows the inference of new knowledge and storing it in the knowledge base. The authors propose a formalism for SWRLx along with its implementation through an adaptation of different object-oriented techniques. The Jess rule engine is used to transform these techniques to the Jess model. The authors include a demonstration that demonstrates the importance of this kind of reasoning. In order to verify their proposal, they use a case study inherent to interpretation of a preventive medical check-up. Since the Web Ontology Language (OWL) based on Description Logics (DLs) was endorsed by the World Wide Web Consortium, it has been applied in many fields, and the technologies used for authoring ontologies have matured. However, DLs are much too weak for talking about properties, despite including a relatively rich set of class constructors (Li & Tian, 2011). One way to overcome this expressive limitation of DLs would be to extend them with rules (Ginsberg, 2006). Description Logic Programs (DLP) and SWRL choose opposite directions for integrating DLs with rules. The former retains decidability by intersecting OWL and Horn Logic, while the latter gains more expressiveness through a union of the two. One of SWRL’s most useful features is its ability to incorporate the use of refined built-in libraries. This extension mechanism provides a very powerful means of expanding SWRL’s expressiveness and increasing the types of the reasoning information using rules. In particular, this mechanism can be used to tackle the issue of data integration, which is one of the central challenges of the Semantic Web. Being able to meet this challenge has required the development of a variety of mapping technologies to allow interoperation between the various formats that are encountered when developing Semantic Web applications (de Bruijn et al., 2009). In conducting our research, we noticed that the rule-based languages SWRL (and recently RIF contain constructs for IF-THEN conditions that infer new triples when a pre-condition is met in the current state of the model. These conditions cover very important-use cases, and many practitioners find them quite natural to use. For some reasoning problems, it is necessary to modify the existing information in an ontology when new individuals satisfy a stated condition. SWRL does not fully satisfy this requirement. Since solving such problems is of interest, we argue in this paper that SWRL is not sufficiently expressive for our needs, and will therefore propose SWRLx, an extension to SWRL (Horrocks & Patel-Schneider, 2005). We suggest an approach to enrich the comportment (behavior) of the concepts of an ontology with rules (Bouaicha & Boufaida, 2012a, 2012b). Such enrichment can be done in two ways: 1) binding attributes and roles of concepts with conditions, and 2) creating rules to combine the individuals and atoms of concepts. The latter is used, to a great extent, in the literature. The internal and external enrichment of the concepts of an ontology engender hybrid ontologies, which can ameliorate the reasoning results. To illustrate the importance of such reasoning, we will apply a case study inherent to the interpretation of a preventive medical check-up, using the standard and current tools of the Semantic Web. 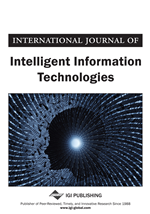 This paper presents a prototypical implementation of our approach that integrates the rules within a concept using object-oriented techniques and the Jess1 reasoning engine. This integration allows a query to be posed to a knowledge base using an nRQL language (Haarslev, Moller, & Wessel, 2001). We assume that the hybrid ontology that is obtained can contain OWL axioms and SWRL rules and will reason with SWRLx rules. Over the course of our research, we have proposed and implemented two main methods of transforming OWL ontologies and SWRL rules into rules expressed in the Jess language. In this paper we focus on the implementation and evaluation of these methods. The rest of the paper is organized as follows. In the next section, we describe approaches and strategies for combining the existing OWL DL with another rule language that have given birth to languages such as SWRL and DLP, well as some work on combining reasoning about OWL and SWRL rules. Following that, we present the various forms of rules used in database and knowledge-based systems, and we compare these forms with the fully-quantified constraints. Then we discuss related work. Next, we present the syntax and semantic definitions of SWRLx and then the proposed process and reasoning methods. This is followed by an evaluation and an application example to illustrate the reasoning process. The final section offers concluding remarks and future research plans.